Very Soft And Smooth Football Artificial Grass With Olive Shape. 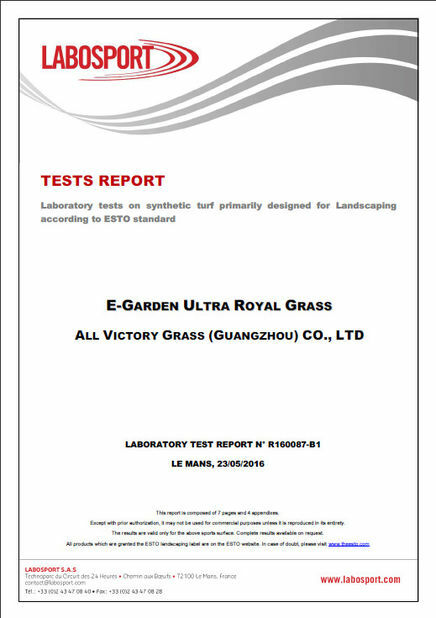 The first joint venture enterprise of artficial grass and pioneer of artificial turf in China. Having the longest corporate history in the artificial grass industry, originated from the precursor Parks Recreation Manufacturer(China) Co., Ltd established in 1982. Domestic corporation registered in 2001, having 15 years' manufacturing experience in artificial grass. Top 1 sales accomplishment in South China market. 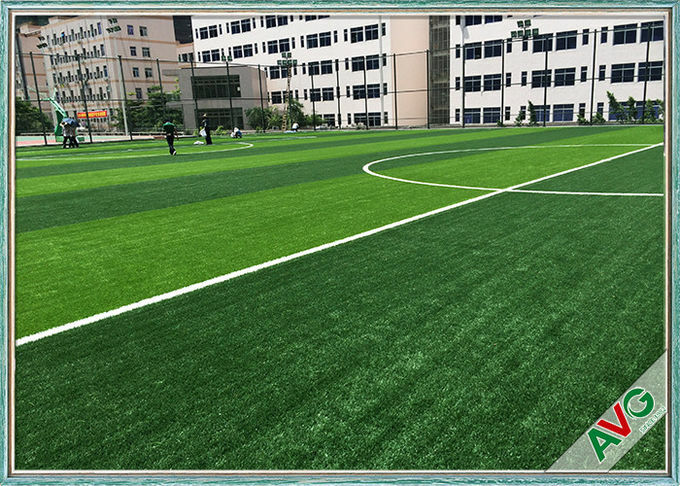 The only supplier of artificial turf for the three international top events including 2008 Olympic Games, 2010 Asian Games, and 2011 Universiade. The exclusive supplier of the Bird's Nest(aka National Stadium). 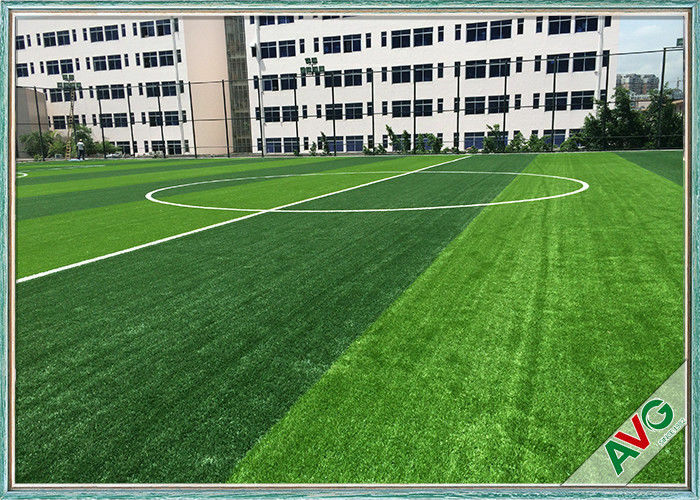 China's only artificial grass manufacturing enterprise located in the national economic develoment zone, and meanwhile owns two production bases respectively in the hi-tech zones of Guangzhou and Zhaoqing. 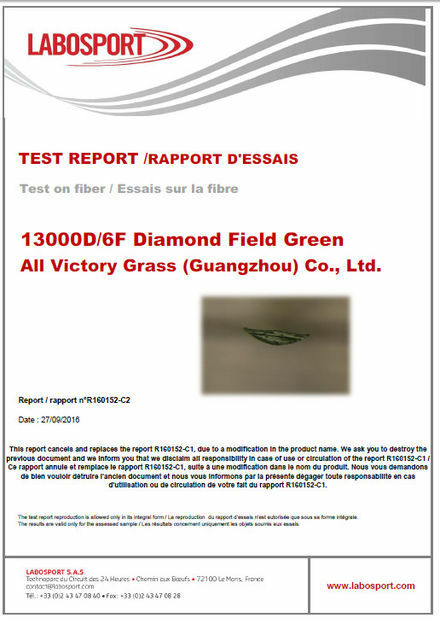 China's only artificial grass manufacturing enterprise with production and installation technology for aviation grass. Very soft and smooth, with olive shape. The most common fibers but finest result for cost-effective. A real starter product for artificial grass. Popular for Contractors, easy for selling over the world, because of the greatest wide use range over the field in different parts of the world. For more information, when contacting our staff, we will list the details you want to know and send to you the specification at our best. For your requirement, you could tell us your requirement, we will try our best to meet your need and give you the best suggestion. For other question, you can feel free to raise your question, we will answer your question sincerely and patiently to let you know more about our company and products. Quality control: Test the goods one by one through the strict and professional test. Goods return policy: Reserve more rights for our customers, which makes them believe in us whole-heartedly.